Persatuan Kompang Kg. Parit Madirono from Pontian, Johor, is a community of kompang jidor performers founded by the late Selamat bin Ahmad, tracing their lineage back 5 generations. It is the only remaining kompang group in Johor actively performing and training the traditional 12-rhythm Kompang Jidor. Now led by En. Mahni bin Jais, Persatuan Kompang Kg. Parit Madirono regularly trains the younger generation of performers in their community and occasionally hold workshops for kompang groups from other parts of Johor. The group has also participated and won prizes at various district and state-level kompang competitions. Kompang Jidor traditionally encompasses twelve interlocking kompang beats that create composite rhythms. It is usually performed with vocal accompaniment of selawat based on the Kitab Barzanji, a book of praises to the Prophet Muhammad composed in the 18th century. The selawat, sung in Arabic, is structured into verses (rawi) and refrains (jawapan). The twelve beats of the Kompang Jidor are: jidor, babon, banggen, nelon, ngelimo, ngorapati, anak babon, paron, ngapati, ngentong, nyalahi, nyelangi. 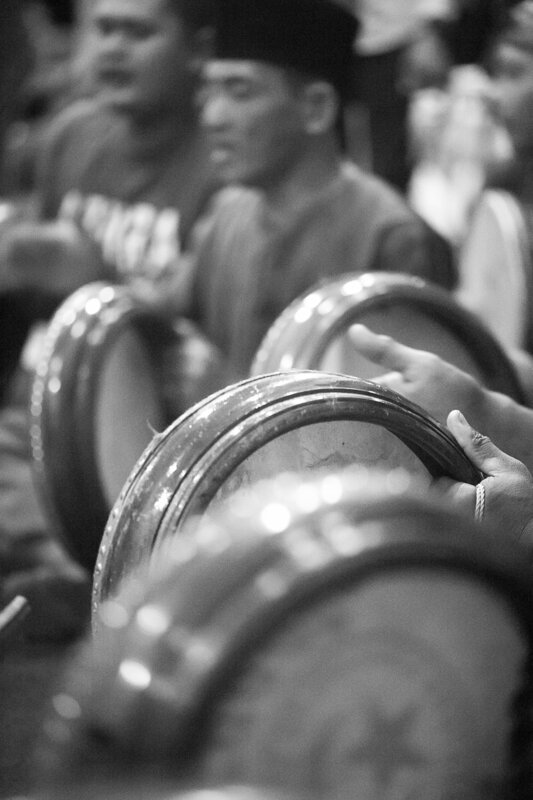 Kompang Jidor is performed by a group of kompang (Malay frame drum) players and a single player who strikes the jidor (large double-headed barrel drum). Once a tradition that flourished throughout Johor, this older form of kompang is becoming increasingly rare. Because of its complex rhythms, the art of the twelve-beat Kompang Jidor takes more time to learn and master than the more common four-beat Kompang Melayu.